From mall Santas, to school teachers, to spelling bee contestants, Hollywood has a penchant for bringing out the worst in people we don’t normally associate with bad behavior. But while the premise behind “Bad Moms” is certainly ripe for comedy, as is usually the case with these films, it’s not lewd enough to justify its title. “Bad Moms” is an R-rated raunch-com that’s surprisingly short on both raunch and comedy. In fact, apart from its countless F-bombs (because apparently, nothing says “bad” quite like grown women cursing), it’s really a PG-13 movie at heart, failing to push the boundaries as far as you’d expect from the guys who wrote “The Hangover.” The film sorely lacks the insight that a female voice would offer. Amy Mitchell (Mila Kunis) is sick and tired of trying to be the perfect mom. When she’s not being overworked at her part-time job, she’s busy maintaining her household and driving her two kids (Oona Laurence and Emjay Anthony) back and forth between school and their various extracurricular activities. Her slacker husband (David Walton) is practically a child himself, and after Amy catches him cheating with another woman over the internet, she promptly kicks him out of the house. The next day, everything that can go wrong does, causing Amy to finally crack under the pressure during a late-night PTA meeting. 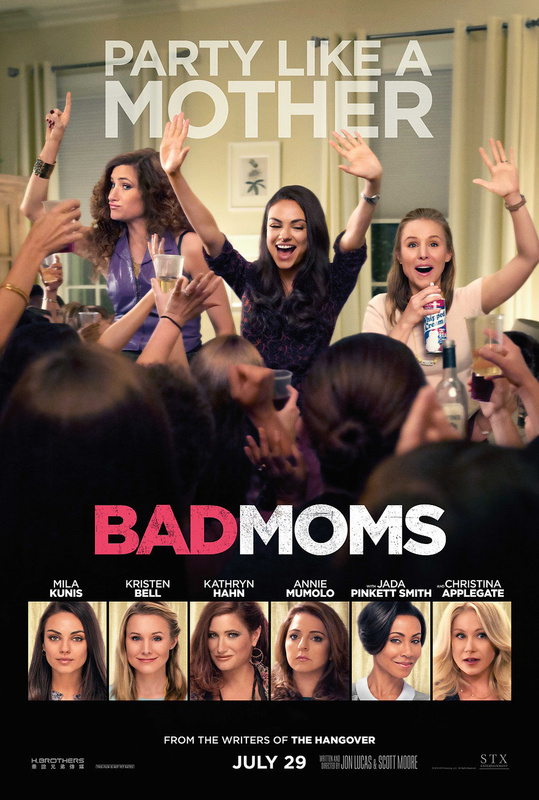 In the aftermath of her meltdown, she befriends two fellow mothers who share her frustration – bawdy single mom Carla (Kathryn Hahn) and docile stay-at-home mom Kiki (Kristen Bell) – and together, they agree to be bad moms for once and have a little fun. But when Amy’s antics make an enemy of uptight PTA overlord Gwendolyn (Christina Applegate), she decides to challenge her presidency and alter the status quo. “The Boss” is pitifully lacking in self-awareness. It’s a film that wants to live in Will Ferrell and Adam McKay’s universe, where there are real-life news anchor gang wars that end in people losing limbs. To be fair, it’s easy to see why they thought the audience might view the films the same way. “Anchorman” and “Talladega Nights” both feature pompous shells of a human being who are humbled on a grand scale, much like Melissa McCarthy’s character here, but that is where the similarities end. 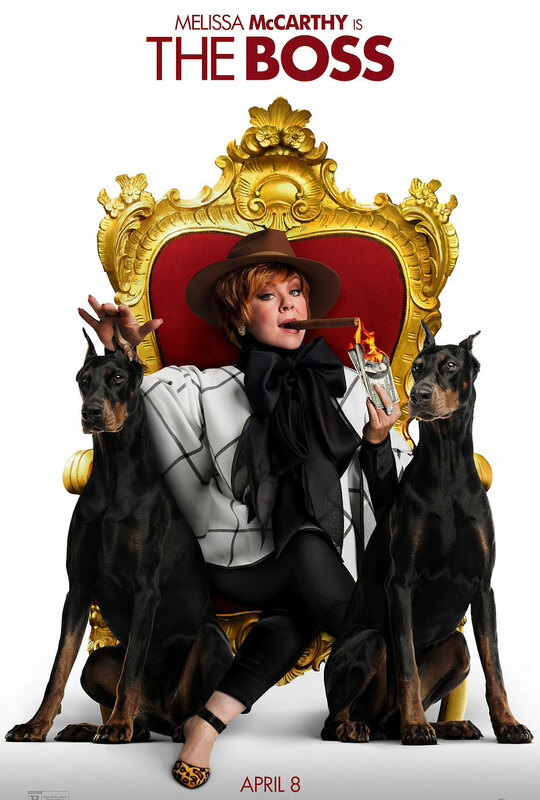 What “The Boss” gets wrong is the meanness factor. Will Ferrell’s characters in the aforementioned films are dim and shallow, but harmless, while McCarthy’s character is an unrepentant, hostile sociopath from birth. Worse, the film treats this as a virtue. Michelle Darnelle (McCarthy) is, by the audience’s viewpoint, a thrice-abandoned orphan who grows up to become a ruthless, filthy-rich business executive. Renault (Peter Dinklage), a former lover-turned rival, gets her indicted on insider trading, whereupon she is sent to prison and loses everything. Upon her release, she arrives at the door of her former assistant Claire (Kristen Bell) because she has nowhere else to go. Claire resents the way Michelle treated her, but because she’s a decent human being, Claire allows Michelle to stay, and as Michelle ingratiates herself in Claire’s life, she sees a business opportunity when she attends a Daffodils meeting with Claire’s daughter Rachel (Ella Anderson), and they discuss cookie sales. Shortly afterward, Michelle tastes one of Claire’s family recipe brownies. Darnelle’s Darlings is born, the brownies are their cash cow, and Michelle is back in the game. The ending of “Frozen” flies in the face of everything that Disney heroines had previously stood for, and it is glorious. Curiously, my 4-year-old daughter did not like the ending, because it does not fall in line with the other Disney princess story lines, though that is precisely why her mother and I high-fived each other when discussing it afterwards. Princess Anna is all girl, but she has more courage and determination than the other princesses combined. Between her and Merida from last year’s “Brave,” it is encouraging to see Disney crafting women who are focused on something other than the affections of a boy. In the Norwegian village of Arendelle, there are two young princesses named Elsa (voiced by Idina Menzel as an adult) and Anna (voiced by Kristen Bell as an adult). Elsa has the ability to make snow and ice, and Anna loves to see her magic. Elsa accidentally hurts Anna while putting on a show for her, and though they were able to heal Anna (and remove Anna’s memory of the accident), Elsa was forbidden from telling Anna the truth about her powers, which basically meant that Anna couldn’t play with Elsa anymore. As they grew older, they grew apart. On the day of Elsa’s coronation to become queen of Arendelle, her inability to control her powers sends the entire village into a deep freeze. 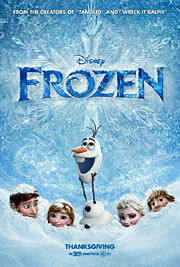 Elsa, now regarded by the villagers as a monster, retreats for the mountains, and Anna enlists an ice salesman named Kristoff (Jonathan Goff) to help her find Elsa and bring her home.